each your bricks new tricks! In the Controlled Chaos Department of Klutz Labs, we're big fans of Rube Goldberg's amazing machines. What could be more Klutzy than a machine that accomplishes a simple task through an elaborate chain reaction? The answer, of course, is a wacky chain reaction built of LEGO bricks. A perfect companion to our best-selling LEGO Crazy Action Contraptions, this all-new book will blow the mind of anyone who enjoyed playing Mouse Trap or setting off a row of dominoes. 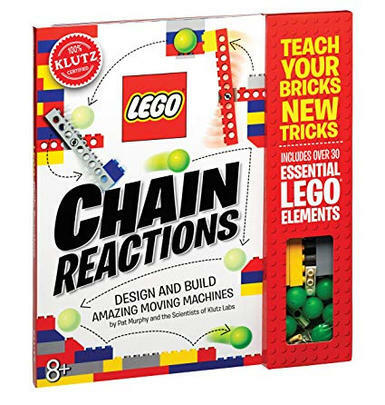 To turn bricks from kids' own LEGO collection into ball-moving machines, all they need is LEGO Chain Reactions — along with the cardstock ramps and other punch-out parts, plastic LEGO balls, and 33 essential, hard-to-find LEGO pieces packed inside. A team of experts, educators, and 11-year-olds helped us invent machines that swing, bounce, and spring in ways that only LEGO bricks can. 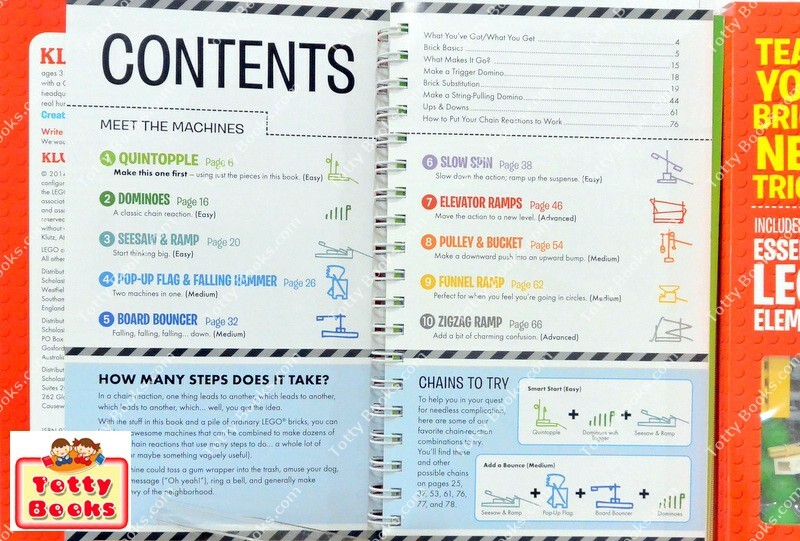 Follow our instructions to build the Flag-Waving Marble Kicker, the Barbell Spinner, and more. 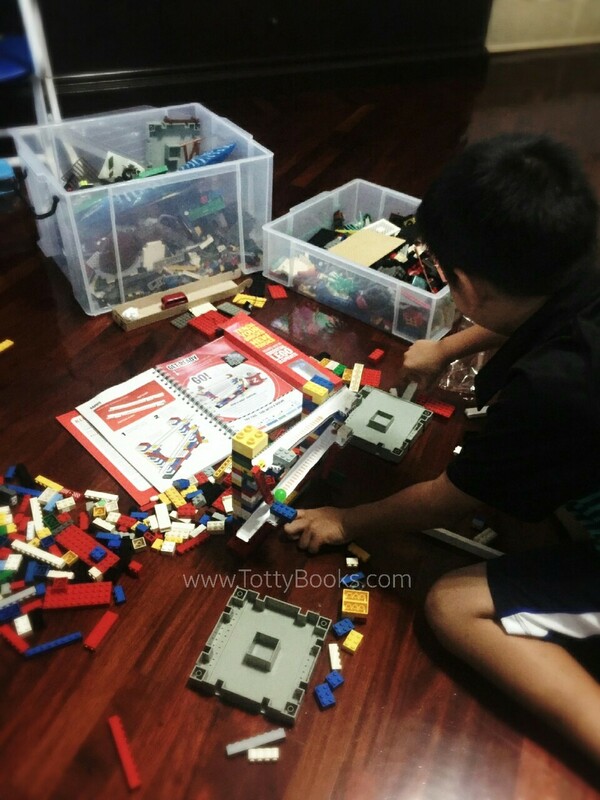 Kids will even learn solid building techniques and the physics behind the fun. Each machine forms one step in a customizable chain reaction. One thing leads to another, and another, and another, until at last you turn on the light, ring the dinner bell, flip a coin, or accomplish some other ordinary task in an extraordinary way. Rube Goldberg would be proud. Comes with: 80-page book of instructions, 33 LEGO pieces, instructions for 10 modules, 6 plastic balls, string, paper ramps and other components.